The last quarterfinalists of the Men's Singles were decided this morning, with Xu Xin making a monumental comeback and Dimitrij Ovtcharov falling short in Düsseldorf. Xu Xin came back from 5-10 down in the seventh to win 12-10 against Lin Gaoyuan and move in to the quarterfinals of the Men’s Singles. It all had looked over when Xu served a fault at 5-9, gifting Lin his match points. Xu Xin had lost in the last 16 in two out of his three World Championship appearances and it looked like another early exit. After some lucky edges, he levelled the score 10-10 and didn’t look back, closing out the match 12-10. Xu Xin acknowledged his luck after the match, and also revealed his method to find the win here Düsseldorf. Lin Gaoyuan will be disappointed, and it will be back to the drawing board to improve his mental game for the next big event. 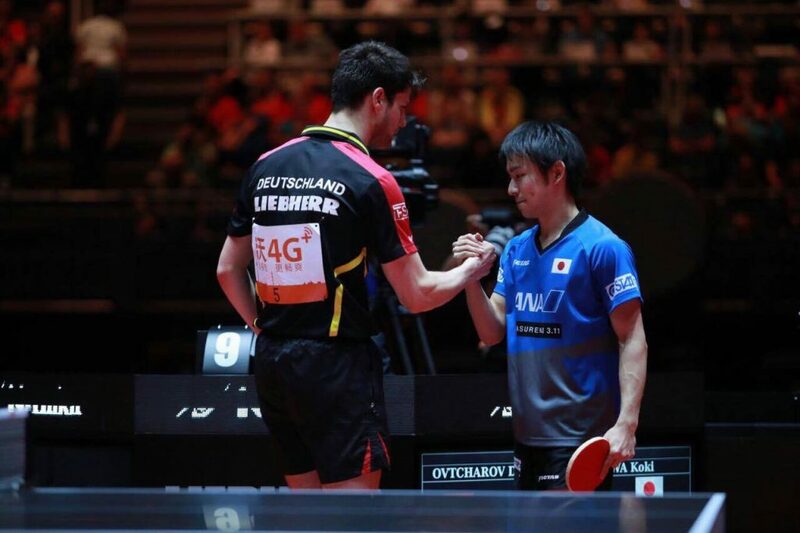 In the final last 16 match in the Men’s Singles here in Düsseldorf Koki Niwa broke the hearts of the German fans, taking down hometown favourite Dimitrij Ovtcharov 11-9 in seventh. Niwa came out swinging for the fences, nailing counter forehands left, right and centre. For Ovtcharov it was difficult task to come up with answer against someone who couldn’t miss. After the match Ovtcharov thanked the fans for the support he received today and throughout the week.